If things had gone differently last summer, we might not have been eating Thanksgiving dinner at my brother’s house in Cathey’s Valley, California, down the hill from Yosemite. The massive Dewiler fire, which came roaring through so fast people barely had time to get out of the way, burned up to the back gate of Mike’s housing development. 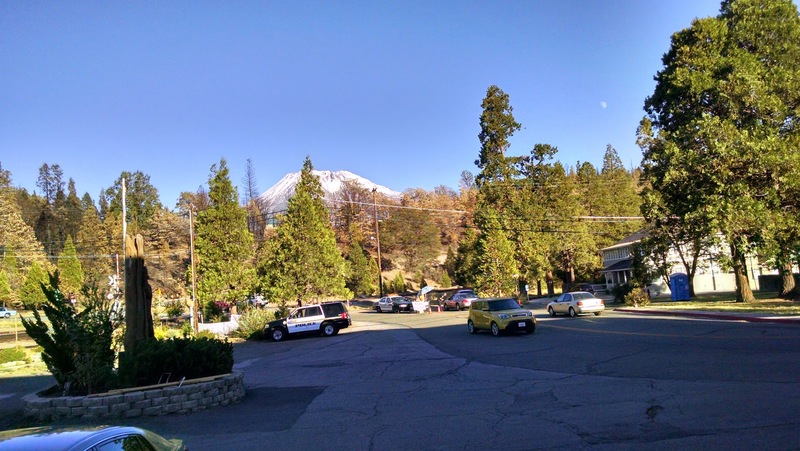 It threatened to destroy the town of Mariposa where he works and forced him and his family to evacuate for a week, not knowing if they’d have a house to return to. The food in their refrigerator rotted while they crowded into my niece’s house with the dogs and the kids. Mike stood on Hornitos Road watching firefighters set backfires and helicopters drop retardant. For over a month, they breathed smoke. Ash covered everything inside and out. The power poles and lines burned, so they didn’t have power for another week. When the fire was completely out in October, CalFire reported that it had burned 81,826 acres, It destroyed 63 homes, 67 minor structures, and one commercial structure. Mariposa survived, as did most of Cathey’s Valley, but the fire was huge, and no one who experienced it will ever forget. It was only one of the many wildfires that ravaged the West this year. This one reportedly started with a gunshot that probably caused a spark and set the wild grass on fire. While Thanksgiving dinner was cooking, Mike took Dad and me for a ride to see the burned area. It took a minute to recognize the damage. Nature is already starting to repair itself with hints of green grass sprouting up everywhere. The power company has replaced the damaged poles, and road workers have rebuilt the fences along the area’s narrow hillside roads. Much of the charred wreckage has been cleared away. But the burned ground is smooth, dark, and marbled-looking, and the trunks of the oaks are charred, their remaining leaves an odd shade of orange. Some of the fence posts are black. You round a bend and see a chimney sticking up. Down the road, a new mobile home sits where a house used to be. Around the next curve, a house that was saved sits surrounded by burnt ground. Big signs along the road thank the firefighters for their help. First responders from all over the state fought that mega-fire. Outside the burnt area, the yellow grass grows tall enough to hide my niece’s dachshund. Cows graze as usual. Wild turkeys that escaped Thanksgiving scurry through the oaks and pines looking for food. Alpacas soak in the mild sun at the alpaca farm down the road. Life goes on there, but for many miles, it will be years before it looks or feels anywhere near normal. We had a lot to be thankful for as we gathered around the table to eat the food prepared by my sister-in-law and my niece and watched my niece’s baby taste his first stuffing and pumpkin pie. I wonder what the folks who weren’t so lucky were doing. The day after Thanksgiving, Mike put a new chain on his chainsaw and went out to cut brush and fallen trees. Anything that might burn near the house has to go. One hopes it will never be as bad, but in that hot, dry country, fire is as expected as the rain falling here on the Oregon coast. 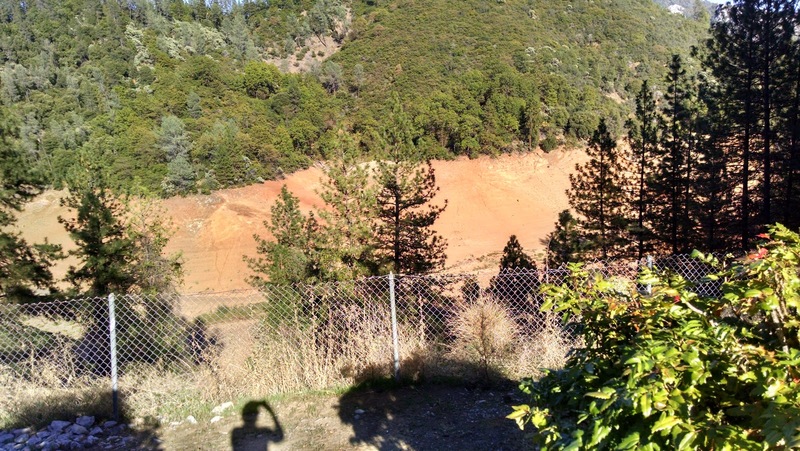 Author Sue Fagalde LickPosted on October 13, 2014 December 29, 2014 Categories Best Western Miner's Inn, drought, fires in California, I-5, Lake Shasta, Mt. Shasta, Purple Plum, San Jose, trucks on freeways, Weed, YrekaLeave a comment on Maybe we should change I-5 to "Dry-5"